Thomas Kendall, one of New Zealand’s first Christian missionaries, was based at the Church Missionary Society (CMS) station in the Bay of Islands from 1814 until 1821. He pioneered the transcription of the Māori language, and also investigated how Māori understood the universe. In doing so, however, he attracted hostility from others in the Australasian mission world. On a trip to London in 1805, the 26-year-old Lincolnshire grocer and draper from Lincolnshire had a profound religious experience. Soon afterwards he sold his business, moved his family south, and became an ardent member of the congregation of Bentinck Chapel, in Marylebone. 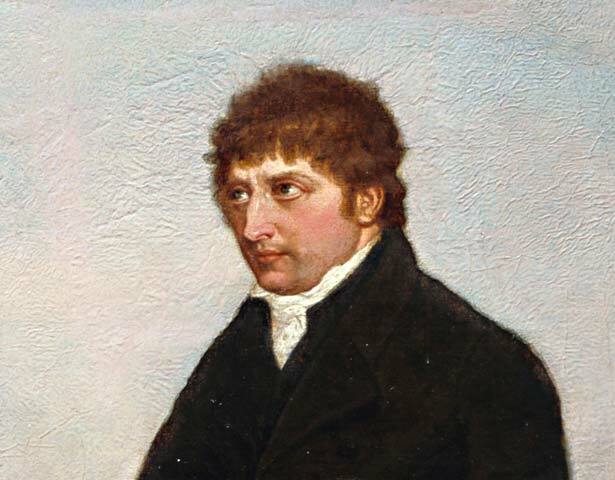 In 1808 Kendall asked the CMS to send him to New Zealand, but it was not until 1813 that he was chosen to be the schoolmaster at the planned mission settlement and finally set sail. The mission was founded at Rangihoua, in the northern Bay of Islands, in December 1814, under the patronage of the chiefs Hongi Hika and Ruatara. It comprised three missionary familiies. The following year Kendall had the first book in Māori published in Sydney, and in 1816 he opened his missionary school. Education was an important way of introducing Māori children to Biblical scripture and European ways. In a series of letters written between 1822 and 1824, mostly to the CMS, Kendall attempted to describe Māori cosmological thought. One of Kendall’s conduits into understanding the Māori way of life was Tungaroa, the daughter of the tohunga of Rangihoua, with whom he had an affair. On learning of this, Samuel Marsden, his Sydney-based CMS superior, dismissed Kendall from his post. Although Kendall went on to hold another clerical post in Chile, he claimed in 1822 that the ‘apparent sublimity’ of Māori ideas had ‘almost completely turned [him] from a Christian to a Heathen’. He resolved this contradiction in his own mind by maintaining that Māori beliefs must somehow have been derived from scriptural knowledge. We have 14 biographies, 3 articles, related to Thomas Kendall.